Happy Father's Day! In celebration of Father's day we are hosting an afternoon with the Dads (and their families)... My husband, my dad, my husband's dad, a neighbor dad, his dad in law, and another neighbor dad. Thanks to my girlfriend's and mom's love of cooking we have put together a fantastic feast; appetizers, fish, beef, salads, grilled vegies and a special chocolate birthday cake (made from scratch by Liv) in honor of my mother-in-law's upcoming birthday. After my visit to our local Farmer's Market I chose to make a Corn and Tomato Salad... always best when the corn was just picked yesterday! This easy to toss together salad is always a hit at any gathering and works as a side to just about any main dish. It's flavorful, fresh, bursting with summer taste gives it an all around appeal and the ease of putting it together appeals to my busy day. 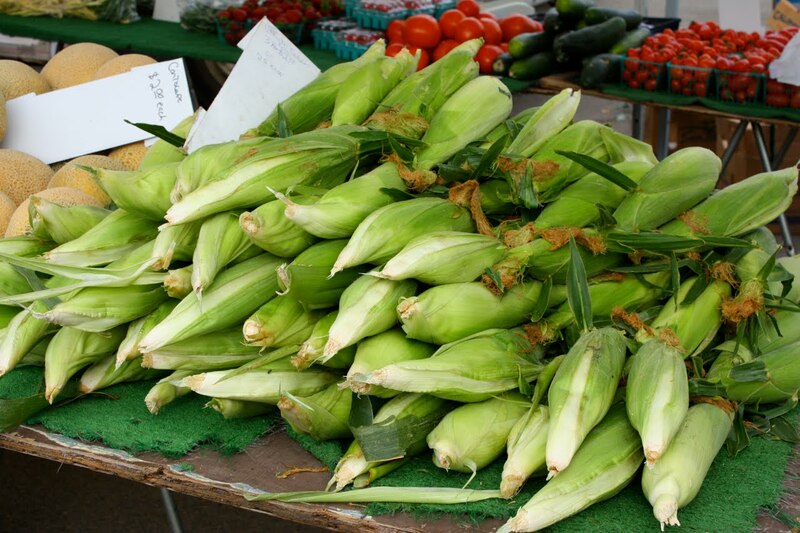 Place corn on a hot grill and grill until done, turning occasionally. About 7 minutes total. 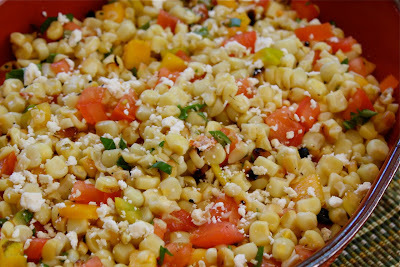 While corn is cooking, chop tomatoes into small dice and add to a medium bowl. Chop onion and add to tomatoes. Cut corn off of cob and place in bowl with tomatoes and corn. Add basil, vinegar, and oil; mix well. Season to taste with salt and pepper.